It’s a mystery that has puzzled climbers and lovers of legends for centuries – but it may finally have been solved. Tests on hair samples were found to have a genetic match with an ancient polar bear, with scientists believing there could be a sub species of brown bear in the High Himalayas that has been mistaken for the mythical beast. After subjecting the hairs to the most advanced DNA tests available and comparing the results to other animals’ genomes stored on the GenBank database, Professor Sykes found that he had a 100 per cent match with a sample from an ancient polar bear jawbone found in Svalbard, Norway, that dates back at least 40,000 years – and probably around 120,000 years – a time when the polar bear and closely related brown bear were separating as different species. Professor Sykes believes that the most likely explanation is that the animals are hybrids – crosses between polar bears and brown bears. The species are closely related and are known to interbreed where their territories overlap. The professor said: “This is an exciting and completely unexpected result that gave us all a surprise. There’s more work to be done on interpreting the results. I don’t think it means there are ancient polar bears wandering around the Himalayas. A photograph of a “yeti’ footprint, taken by British climber Eric Shipton at the base of Everest, sparked global mania after it was taken in 1951. 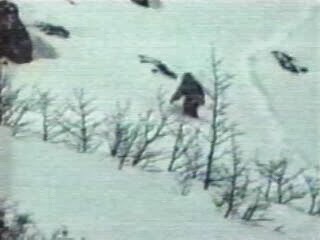 His investigations features in a new three-part Channel 4 documentary series, Bigfoot Files, which starts on Sunday. A book by Prof Sykes about his research, The Yeti Enigma: A DNA Detective Story, is to be published next spring.